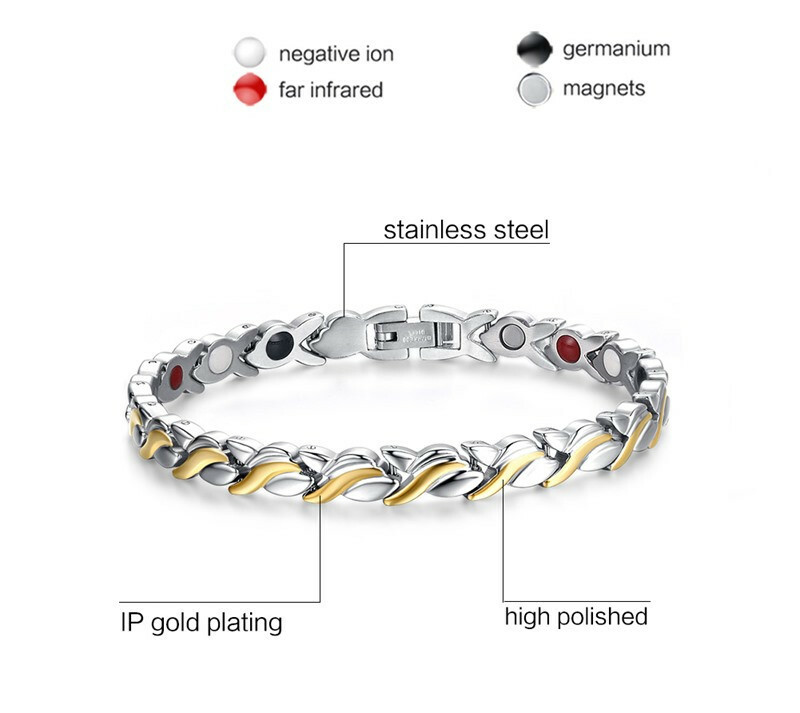 This Women's Magnetic Negative Ion Healing Energy Health Bracelet is used in Chinese medicine: it is mainly used to treat dizziness, blurred vision, tinnitus and deafness, palpitation, insomnia, kidney asthma, irritability and dreaminess. 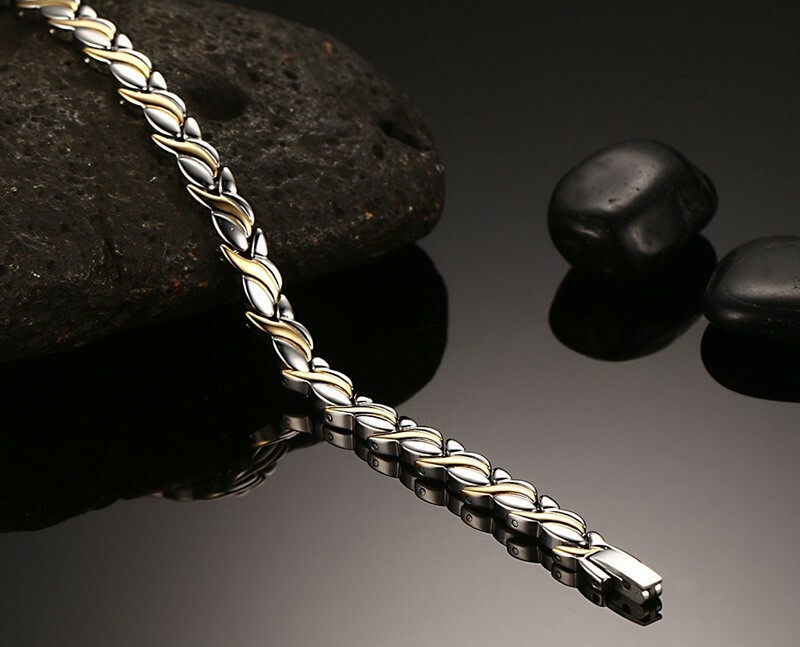 Magnet' s efficacy principles: the magnetic field generated by the magnet can adjust the positive and negative ions in the body, thereby promoting blood circulation and increasing the oxygen content in the blood. Using the magnetic field generated by the magnet to increase the body's anions and adjust the positive and negative ions in the body to balance can activate the blood, improve blood oxygen content, improve the immune system and play multiple effects. The impact on the nervous system, can enhance brain function and mental activity, spirits, work efficiency improved sleep quality can be improved. Study confirmed that negative ions slow down the blood to extend the role of clotting time, can increase the oxygen content of the snow, is beneficial to oxygen transmission, absorption and utilization. Anion effects on the respiratory system the most obvious, it is because the negative ions enter the body through the respiratory tract, can improve people's lung capacity.